Jonathan Stalling is an Assistant Professor of English Literature at the University of Oklahoma. 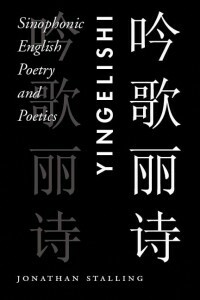 He is the author of Yingelishi: Sinophonic English Poetry and Poetics (Counterpath, 2011), Poetics of Emptiness: Transformations of Asian Thought in American Poetry (Fordham University Press, 2010), and a co-editor of The Chinese Written Character as a Medium for Poetry, A Critical Edition (Fordham, 2008). He is also the author of a book of poems, Grotto Heaven: A Revised Grammar Book (Chax Press).